Week 8 of the 2018 WPIAL football season can be likened to the 8th inning of a baseball game. There are a TON of high-profile games on deck next week that will decide conference titles and Casket Matches that will send one team to the playoffs and the other to the basketball court. For this week, it is the set-up week where teams will look to solidify their positions for next week’s showdowns. This came to a head early in the week when a story broke that North Allegheny and West Allegheny, scheduled to play a meaningless non-classification game this week, had agreed to play with a running clock to limit potential injuries. There was a social media firestorm, mainly from the “back in my day” crowd, and the teams decided to scrap the running clock but will likely play their reserves most of the game. More bad news came out for the WPIAL this week as Albert Gallatin announced they were withdrawing from WPIAL football starting next year. For starters, I will say I am glad that Albert Gallatin is going to play an independent schedule so that the kids who wanted to be part of the team and play football will still have that opportunity. The Colonials were in a tough spot this year, landing two students above the cutoff line for 4A (cutoff line was at 384, Albert Gallatin’s enrollement was 386). This pushed them up to 5A after they had struggled in 4A the last two years and put them in a conference with only 1 team within 45 miles. The school board cited concerns with competition (Albert Gallatin was 0-8 this year and won just 3 of their last 50 games dating back to 2013), travel schedule, and player safety. This will be an interesting situation to keep an eye on to see if more schools opt out of the PIAA and WPIAL in favor of independent scheduling rather than being tied to the 6 classifications of the PIAA or the computer-generated schedules of the WPIAL. I talked about this and more during my guest appearance on the WMBS Pregame Show, you can listen to the show, starting at 6pm on Friday night. Thanks to the fine folks at Taps n’at in Derry, who are sponsoring all of our WPIAL content this year. At the end of the night, check back for a post with all of the scores and some game notes from the evening’s action. I’ll also be updating my WPIAL Standings Page and WPIAL Wild Card Standings Page with 5A & 1A standings with all of the results of tonight’s games, which count towards a team’s overall record but not towards making the playoffs. Also, don’t forget to check out this week’s Playoff Scenarios to see which teams can clinch a spot in the postseason. Last year, the former MSA Sports Network formed a partnership with Trib Total Media and debuted last week with the new website tribhssn.triblive.com. We are very happy for all of our friends at both entities and are thrilled that high school sports will continue to be broadcast over the internet airwaves for years to come. Here is their list of the games they will be broadcasting tonight. As a reminder, if you’re going to be following along with the WPIAL action tonight, keep an eye on the #WPIAL hashtag on Twitter where people post score updates from games. I”ll also be posting score updates and commentary from my Twitter account @thesteelersnat. With Canon-McMillan’s victory over Norwin last week, the 6A playoff race remains wide open. 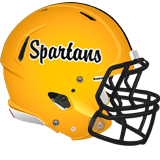 Seneca Valley is in a position where a win over Pine-Richland keeps them in the hunt for a first round bye while a loss makes their playoff clinching scenarios dependent on other results. On the other side, Pine-Richland will take on rival North Allegheny for the conference title next week, regardless of this result. Seneca Valley has relied on a strong defense this season which has held opponents to just 7 points per game. On offense, dual-threat QB Gabe Lawson has led the way with 905 yards and 9 TDs through the air and 290 yards and 6 TDs on the ground. He has spread the ball around to Josh McLean (430 yards, 6 TDs), Jake Stebbins (274 yards, 1 TD), and Luke Smith (240 yards, 4 TDs). Leading rusher Matt Stanger has run for 457 yards and added 123 receiving yards and scored 5 TDs. Pine-Richland has also been led by a dual-threat QB in Cole Spencer who has thrown for 1045 yards and 8 TDs and run for 404 yards and 7 scores. The Rams have one of the best offensive lines in the WPIAL and have plowed the road for Spencer, leading rusher Luke Meckler (688 yards, 15 TDs), and Caden Schweiger (265 yards, 2 TDs). On the outside, Spencer has spread the ball around between Eli Jochem (253 yards, 1 TD), Luke Miller (230 yards, 1 TD), and Shane Cafardi (215 yards, 1 TD). Norwin’s loss to Canon-McMillan last week has left the Knights in a bad spot for the playoffs. Mt. Lebanon can clinch a playoff berth with a win while Norwin needs to win more games than Canon-Mac over the last two weeks in order to get in. This game features the top two quarterbacks in 6A. Mt. Lebanon’s Seth Morgan is the classification’s leading passer with 1472 yards and 10 TDs while Norwin’s Jack Salopek has thrown for 1329 yards and 11 TDs. Morgan also leads the Blue Devils in rushing with 395 yards and 5 TDs, just ahead of Drew Vaughn’s 335 yards and 5 TDs. Through the air, Morgan’s favorite receiver has been Lucas Decaro (407 yards, 2 TDs) but he has also spread the ball around to Tim Walters (261 yards, 3 TDs), Mason Ventrone (241 yards, 2 TDs), and Sam Lasota (178 yards, 2 TDs). 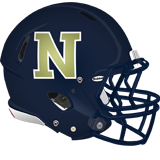 For Norwin, Gianni Rizzo has been their top all-around playmaker with 490 total yards of offense and 11 total TDs. Leading rusher Ezekial Houser has run for 489 yards and added 108 yards through the air, scoring 4 times. Salopek has spread the ball around between Billy Kerston (346 yards, 4 TDs), Sean Pavlic (243 yards, 2 TDs), and Tanner Krevokuch (208 yards). Both of these teams have had up-and-down seasons and come in with pass-heavy offenses. This has all the makings of a shootout as both teams need a victory to keep their playoff hopes alive. Canon-McMillan can clinch their first playoff berth since 2008 with a win over Central Catholic and a Norwin loss. Meanwhile, a Central win gets the Vikings back to the playoffs for the 16th straight season. Bethel Park and Peters Twp both are in their first season of 5A competition after playing in 6A the last two years. The move down has been fortuitous as both as they are in the running for not only the conference title but also a home playoff game. Both teams have strong offenses (averaging over 31 points per game) and decent defenses that have held opponents under 17 points per game. Their only conference losses have been close with Bethel Park falling to West Allegheny by 1 point in overtime and Peters Twp losing by 2 to Upper St Clair. 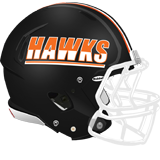 Bethel Park’s offensive attack is built around their ground game. Their top three backs all have over 50 attempts and average over 6 yards per carry. Luke Surunis (683 yards, 9 TDs) leads the way, followed by Jehvonn Lewis (494 yards, 11 TDs), and Sean McGowan (375 yards, 7 TDs). McGowan and Surunis are also the Black Hawk’s leading receivers. QB Anthony Chiccitt has not had to throw much but he has been efficient when he does, accounting for 699 yards and 4 TDs through the air. For Peters Twp, their offense has been balanced between QB Logan Pfeuffer (1348 yards, 15 TDs) and their ground game of Ryan Magiske (586 yards, 13 TDs) and Adrian Williams (363 yards, 2 TDs). Pfeuffer’s effectiveness through the air has come from having a number of talented receivers. Josh Casilli (558 yards, 10 TDs) leads the way, followed by Jackson McCloskey (277 yards, 4 TDs), and Corban Hondru (211 yards, 1 TD). Gateway has run away with the Big East Conference, but the battle for second place and a home playoff game is still tight between Penn-Trafford, McKeesport, and Franklin Regional. If McKeesport wins this game, they could share the conference title if they knock off Gateway next week. Franklin Regional rebounded from their drubbing by Gateway to pound Connellsville last week. Dual-threat QB Adam Rudzinski has thrown for 1068 yards and 14 TDs and run for 249 yards and 4 TDs. His favorite targets have been Mike Evans (430 yards, 4 TDs), and Nick Leopold (303 yards, 8 TDs). Devon Powell has been a jack-of-all-trades on offense, accounting for 367 total yards and 6 TDs. On the ground, Zac Gordon (359 yards, 3 TDs) has gotten the most carries but Brandon Zanotto (258 yards, 3 TDs) has been the most effective back, averaging 9 yards per carry. McKeesport’s triple option offense has been one of the most prolific in 5A this year, averaging 47 points per game. The Tigers have cycled a number of players through the backfield. Konota Gaskins has manned the QB role and leads the team in rushing (477 yards, 8 TDs) and passing (561 yards, 10 TDs). Others who have featured in the triple option attack include Quaran Sayles (421 yards, 5 TDs), Devari Robinson (365 yards, 9 TDs), and Devin Sims (328 yards, 10 TDs). Leading receiver Deamontae Diggs has 287 yards and 2 scores. Both of these games are between teams battling at the bottom of the conference for one of the last few playoff spots. In the Allegheny Eight Conference, Woodland Hills has a win over Baldwin who has a victory over Moon. The three teams are battling for the 5th and final playoff spot while another could be in the mix for the 6th place Wild Card. Montour enters Week 8 as one of the best turn-around stories in the WPIAL. The Spartans were winless through their first 5 games, being outscored by an average of 31 points per game. Coming off of 3 straight shutouts, the Spartans offense exploded for a 35-33 victory over Knoch then a 48-33 win over Highlands. Beaver has also won 3 in a row since a 40-19 loss to Highlands. The winner of this game will clinch a playoff spot and Beaver still has an opportunity to get a home playoff game with a matchup against Blackhawk next week. Montour has relied on the backfield tandem of William White (311 yards, 5 TDs) and Gannon Kedlecik (221 yards, 1 TD). QB Luke Persinger has improved as the season has gone on and thrown for 761 yards and 7 TDs. His favorite targets have been Anthony Tambellini (363 yards, 8 TDs) and Dominic Magliocco (207 yards, 1 TD). Beaver has also found success on the ground, led by Gino Mavero (674 yards, 12 TDs). Dual-threat QB Brodie List has thrown for 870 yards and 11 TDs and run for 422 yards and 6 scores. List’s top receivers have been Matt Lipinski (359 yards, 1 TD) and Mason Rose (201 yards, 3 TDs). Greensburg Salem is looking for their first playoff berth since 2011 and can clinch a spot with a win over Thomas Jefferson and an Indiana loss. If Greensburg Salem loses and Indiana beats Laurel Highlands, it would set up a casket match for a playoff spot next week between Greensburg Salem and Indiana. In the Northwest Eight Conference, the loser between Highlands and New Castle is eliminated from the playoff race. Depending on the result of Beaver-Montour, the winner may still be alive to force a 3-way tie between the Beaver-Montour loser and Knoch. The two highest-scoring teams in 3A face off. Aliquippa is a win away from the Conference Title while Keystone Oaks is fighting for their life in the middle of the pack. After a strong 4-0 start, KO dropped three straight games to Central Valley, Quaker Valley, and Beaver Falls. This left them in position to need a lot of help (mainly from South Park to force a 3-way tie) in order to make the playoffs. 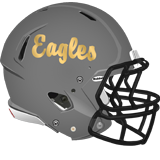 The Eagles boast the WPIAL’s leading scorer in RB Michael Daure (1317 rushing yards, 331 receiving yards, 27 total TDs) and are averaging 42 points per game. Dual-threat QB Logan Shrubb is a threat to join the prestigious 1000 pass/1000 rush club as he enters this game with 1300 yards and 13 TDs through the air and 872 yards and 10 TDs on the ground. His top receivers in addition to Daure have been CJ Morrow (770 yards, 8 TDs) and Tyler Hrivnak (205 yards). Aliquippa has the highest-scoring team in the WPIAL, averaging 54.6 points per game. The Quips boast the most exciting player in the WPIAL in MJ Devonshire who has scored an incredible eight – yes EIGHT – punt return TDs this year. Devonshire has reached the end zone 16 times in total, accounting for over 400 yards of total offense and also starring on defense. Aliquippa opened up their passing game this season with QB Eli Kosanovich (1758 yards, 26 TDs) and WRs William Gipson (958 yards, 11 TDs) and Deoveon Crute (263 yards, 6 TDs). The Quips have also not lost their identity as a traditionally strong running team as Avante McKenzie has run for 1024 yards and 19 TDs. On top of all those offensive playmakers, Aliquippa has the best defense in the WPIAL, giving up just 33 points all season and pitching 5 shutouts. Both of these games have significant playoff implications. North Catholic is locked in a 3-way tie with Derry and Elizabeth Forward while Yough’s losses to Freeport and Mt. Pleasant mean that the Cougars need some upset wins plus some help in order to make the playoffs. North Catholic clinches a playoff spot with a victory. In the Tri-County West Conference, Central Valley and Quaker Valley can both clinch playoff spots with victories. 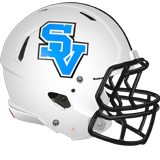 That said, South Park has Central Valley this week and Quaker Valley next week so if the Eagles can win out they can still make the playoffs. Keystone Oaks’ playoff hopes also rest on South Park winning at least one of their remaining games. There are a number of different scenarios in play in the Three Rivers Conference, including a potential 5-way tie situation in 2nd place. There is also the possibility of two 3-way ties (for 1st place and 4th place). The most important game for figuring out the conference order this week is the matchup of two Catholic schools. Serra can clinch a playoff spot with a win and a South Side Beaver victory, but a Seton LaSalle win could throw the race into chaos. Serra Catholic has boasted a balanced offensive attack between QB Pat Brennan (1000 yards, 8 TDs) and RB Khalil Smith (712 yards, 5 TDs). The Eagles have a solid tandem on the outside in WRs Matt Ulishney (475 yards, 7 TDs) and Jayvon Holt (316 yards, 3 TDs). On the other side, Seton LaSalle has struggled to find consistency this season. Joey Ranft took over at quarterback in Week 4 and has thrown for 462 yards and 3 TDs. The Rebels have two quality running backs in Gabe Finale (532 yards, 6 TDs) and Jamar Shegog (350 yards, 5 TDs) who are both averaging 7 yards per carry. James Yanders (250 yards, 2 TDs) and Shane Thrift (182 yards, 1 TD) are Seton’s leading receivers. This is a non-conference game but one worth keeping an eye on as both teams have explosive offenses and come in with 7-1 records. Both teams have clinched playoff spots but there are seeding implications on the line here. Avonworth boasts one of the top passing attacks in the WPIAL, led by the WPIAL’s third-leading passer Derek Johncour (2084 yards, 22 TDs). WR Turner Grau leads the WPIAL in receptions with 50 and has accounted for 767 yards and 14 TDs. Drew Harper (442 yards, 4 TDs), Nick Weiser (176 yards, 3 TDs), and Ethan Syam (139 yards, 2 TDs) have all contributed in the passing game. On the ground, Jax Miller (654 yards, 14 TDs) has been the primary back for the Lopes. While Avonworth is a pass-heavy team with decent ground game, McGuffey is nearly the opposite. The Highlanders have a strong rushing attack based around Christian Clutter (968 rushing yards, 239 receiving yards, 27 total TDs). Dual-threat QB Marshall Whipkey (710 yards and 13 TDs through the air and 484 yards and 7 TDs on the ground) is the catalyst for McGuffey’s offense. Mckinley Whipkey has also seen his share of carries, running for 544 yards and 3 TDs. 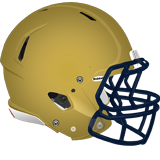 In addition to Clutter, McGuffey’s leading receiver is CJ Cole (281 yards, 4 TDs). Burgettstown has dominated the Three Rivers Conference this season and is one win away from the Conference Title and two wins away from an undefeated season. This is Brentwood’s last conference game and the Spartans need a win and a lot of help if they are going to stay in the playoff race. Shady Side Academy will have a game against Avonworth next week with the conference title on the line while East Allegheny will likely have a Casket Match against Valley. The playoff races in 1A have started to sort themselves out. The three-way tie in the Tri-County South now seems very likely, which would clinch one of the two Wild Card spots for the Tri-County South third place team. This leaves one Wild Card for either Imani Christian (who has clinched 3rd place in the Eastern Conference) or the third place team from the Big Seven Conference. With Laurel’s win over Cornell last week, this game will decide the third place team in the Big Seven, essentially making it a playoff elimination game. The winner is not guaranteed a spot as it will come down to the WPIAL’s Wild Card formula (see the current standings here). Sto-Rox comes in with an explosive offense that averages 40 points per game, the third highest mark in 1A. The Vikings have one of the top QBs in the WPIAL in Eric Wilson who has thrown for 2228 yards (2nd highest) and 31 TDs (most in the WPIAL). Ahmad Pack has been Sto-Rox’s top offensive weapon, leading the team with 958 receiving yards and adding 211 rushing yards and scoring 17 times. Jaidon Berry (478 yards, 10 TDs) and Malik Smith (312 yards, 4 TDs) have also been major factors in the passing game. RB Vincent Eggleton (477 rushing yards, 199 receiving yards, 11 total TDs) has also been a big play threat for the Vikings. On the other side, Laurel has relied heavily on their ground game this season. 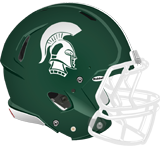 The Spartans have leaned on the tandem of Daniel Blank (669 yards, 10 TDs) and Luke McCoy (561 yards, 7 TDs). QB Dom Wade has twice as many rushing attempts as pass attempts and has run for 225 yards and 5 TDs while throwing for 315 yards and 3 TDs. The Tri-County South seems headed for a three-way tie that will end with a coin flip to determine which team between Monessen, West Greene, and California gets a home playoff game. Chartiers-Houston will have their chance to make an impact on the playoff race over the last two weeks with a game against California this week and a matchup with Imani Christian next week which will count for the Saints in the Wild Card standings.